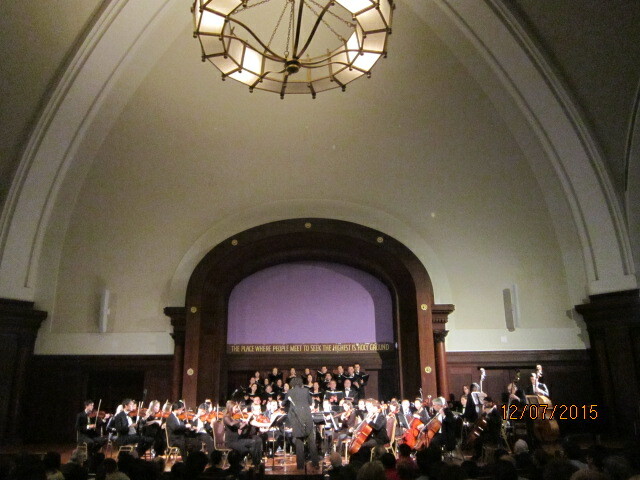 9.11 メモリアル風の環コンサート Japan/US Reconciliation Concert Celebrates 70th Anniversary Since Ending Pacific War ! 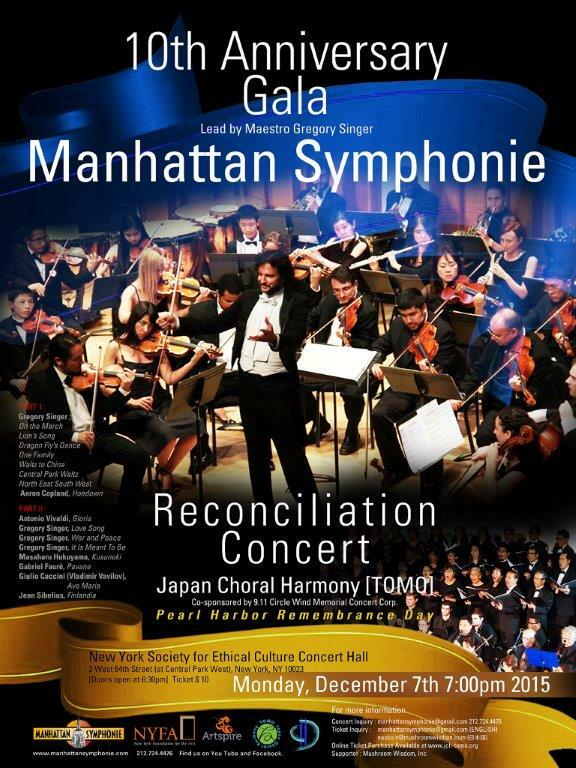 Japan/US Reconciliation Concert Celebrates 70th Anniversary Since Ending Pacific War ! 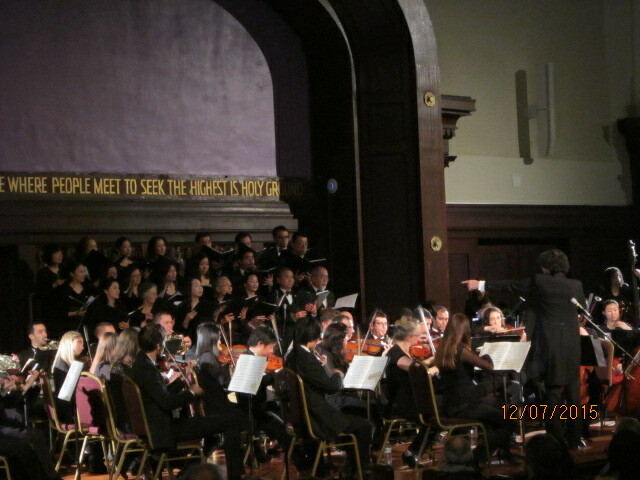 Gala Concert Successfully Done on Pearl Harbor Day ! Click the photo to adjust it to full size. Manhattan Symphonie Orchestra (MSO) will perform its 10th anniversary concert with Japan Choral Harmony "TOMO" under the baton of founding director, Maestro Gregory Singer. This year marks the 70th anniversary since ending the Pacific War and the concert will also celebrate the memorable and historical "reconciliation" as well as the close, firm and enjoyable relationship established between the two nations over the last 70 years. 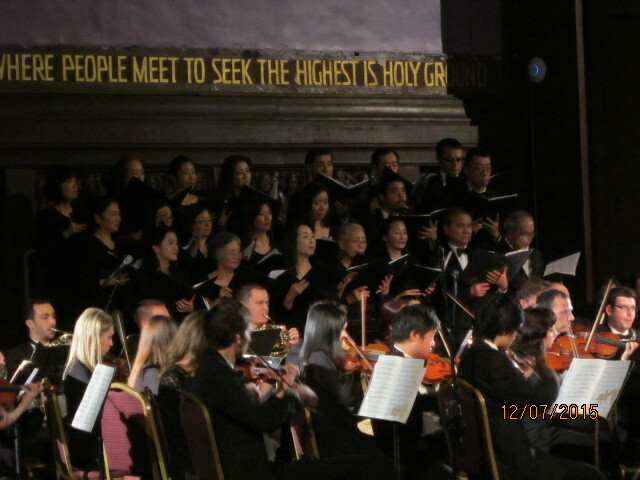 MSO has enjoyed a vibrant collaboration with JCH "TOMO" for the last several years, particularly at the annual 9.11 Circle Wind Memorial Concert that has been organized by TOMO's director, Mike Shirota, and has been hosted by the choir for the last 4 years. 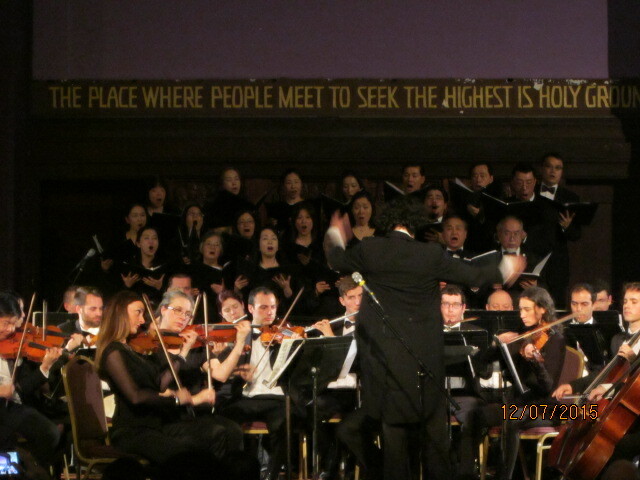 Maestro Singer states "We are very fortunate and honored that TOMO will join us for the very special occasion of MSO." Mike Shirota, Music Director of TOMO says " This is very significant as it is held on Pearl Harbor Remembrance Day. It is the most uncomfortable day for Japanese living in the USA, and vice versa , August 6 (Hiroshima) and 9th (Nagasaki) are the days that American people living in Japan must have the similar feelings. However, we both understand and have accepted what happened 70-74 years ago between the two countries without distorting the history and criticizing each other. Now we are in a matured relationship with a strong alliance in every respect that can be proud of to the rest of the world." 共催：　Japan Choral Harmony "TOMO"